I’m patiently (or, not so patiently) waiting to get my hands on the Toshiba Excite 7.7. After liking the Excite 10 except for the sub-par screen, I’m hoping that the Excite 7.7 with its AMOLED screen at 1280X800 will provide a good combination of color quality, contrast, and text. It should be reasonably sharp at 196PPI, compared to the 224PPI density of the upcoming 1920X1200 10.1” screens on the Acer Iconia A700 and ASUS Transformer Infinity TF700. 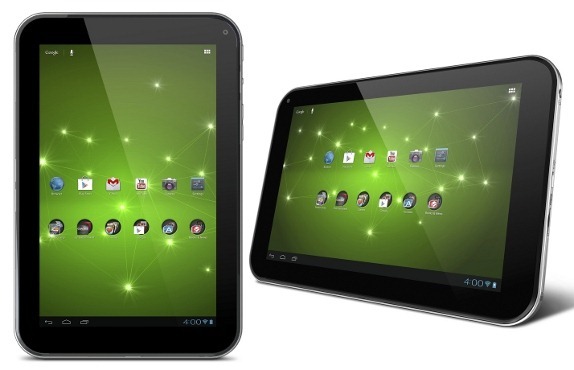 I’m really missing having a Tegra 3-based Android tablet to use, and can’t wait to compare the Excite 7.7 to the iPad 3. I’m not expecting the screen to be of quite the same quality, but I’ll be happy if it’s 75% as good. I’ll be sure to report back once I have it in my hot little hands. In the meantime, a few publications have initial reviews of the Excite 7.7. Go check them out, then hang tight for my own mini-review.